Took photos but accidently press "Delete" on iPod Touch? Press "Restore" and lost all your photos and files? Is there any way to recover deleted photos from iPod touch 4G? If you have backed up your iPod Touch with iTunes before restoration or at least synced your iPod Touch once, you can use some programs to get the deleted photos back. Personally I use iPod touch Photo Recovery for Mac (iTunes Data Recovery for Mac) or iPod touch Photo Recovery (iTunes Data Recovery). They can extract iPod touch backup file and recover deleted photos from iPod Touch. More than that, you can export those images from backup file and save them on computer. What if you have no backup file? That's common if you deleted the backup file or it is corrupted, or even worse, you have never synced your new iPod Touch with iTunes before. Fortunately, you can recover deleted photos from iPod Touch without backup by using another software -- iPod Data Recovery. Follow the tutorial below to learn how to recover deleted iPod Touch photos. ​Part I: How to Extract Backup File and Recover Deleted Photos from iPod Touch? ​Part II: How to Recover Deleted Photos from iPod Touch without iTunes or iCloud Backup? Part 1: How to Recover Deleted Photos from iPod Touch 5/4 with iTunes Backup File? Here we use iPod Touch Recovery for Windows. If you are using Mac, download iPod Touch Photo Recovery for Mac and follow the same steps to recover lost photos from iPod Touch Photo Recovery for Mac. Once erasing photos from iPod Touch, check "Prevent iPods, iPhones, and iPads from syncing automatically" in iTunes to stop syncing the iPod Touch when connect it to your computer. Launch iPod Touch Photo Recovery program. 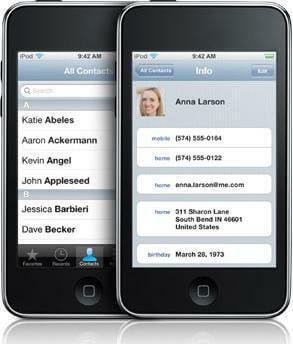 In the interface, check your iPod Touch, and click "Scan" button to start scanning. 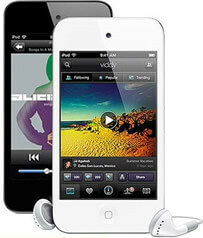 The program supports the latest iPod touch 5 and other earlier versions of iPod, such as iPod 4, iPod 3. In the left file directory tree, check photos, you will see all photos displayed in the windows. Select any of them as you like or choose all by checking photo option in the left directory. Then click "Recover". Finally, click "OK" to finish recovery. All the recovered photos will be saved to computer. Meanwhile, you can save pictures to other removable devices as you like. Isn't it helpful! With one tool, you can retrieve deleted pictures from iPod touch as well as share iPod Touch photos on computer and other portable devices. Part 2: How to Recover Deleted Photos from iPod Touch 5/4 without Backup? In this part, we shows you how to recover deleted photos from iPod Touch without backup. You need to download another software -- iPod Data Recovery. Connect your iPod Touch to your computer, you can click "Start Scan" to start to scan deleted photos from iPod Touch. It will takes you several seconds to minutes to finish scanning. Then phtos including camera roll are shown on the interface. It is nice that you can preview photos in thumbnails to check whether they are your need. Select lost iPod Touch photos and then click "Recover" to start to recover deleted photos from iPod Touch and select a folder on your computer to save the recovered iPod Touch pictures. Now all your deleted iPod Photos be Recovery with iPod Data Recovery software. You can also restore deleted photos on iPod Touch from iCloud backup if you have ever backed up your iPod Touch with iCloud.